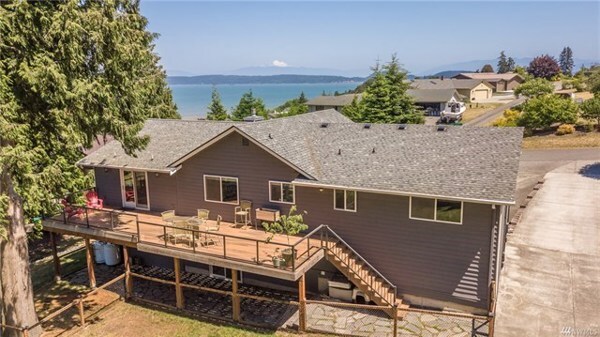 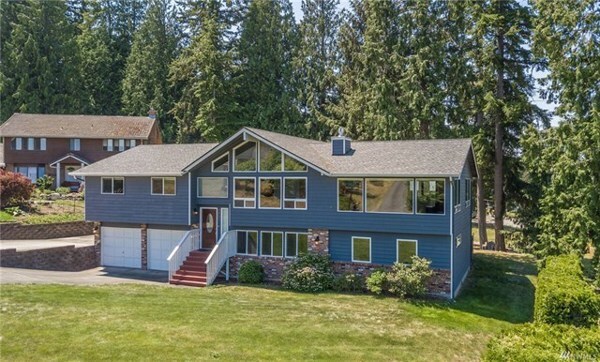 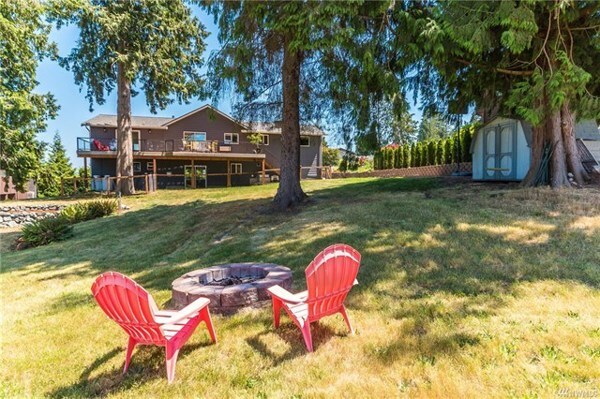 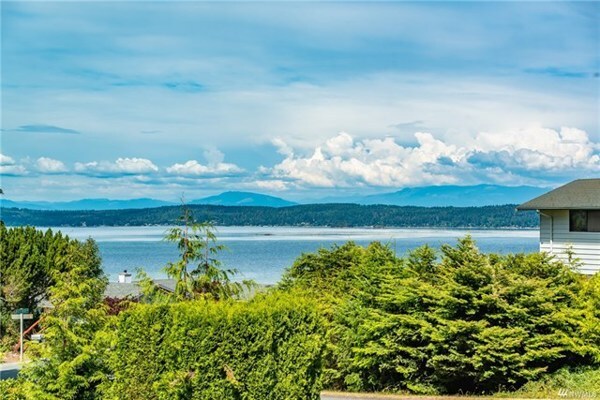 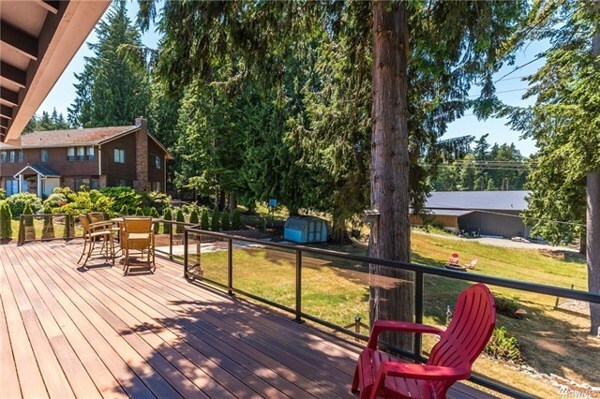 Exceptional quality w/ beautiful views of Dugualla Bay & Mt Baker! 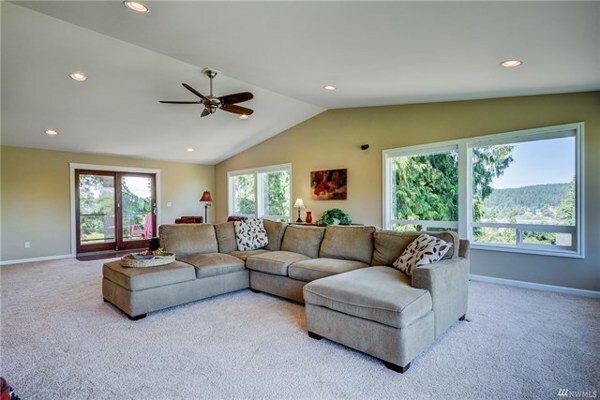 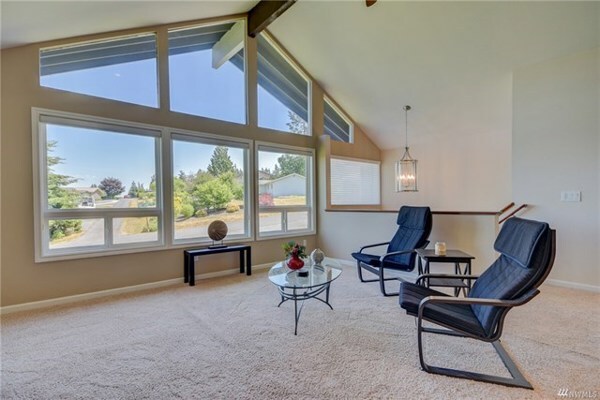 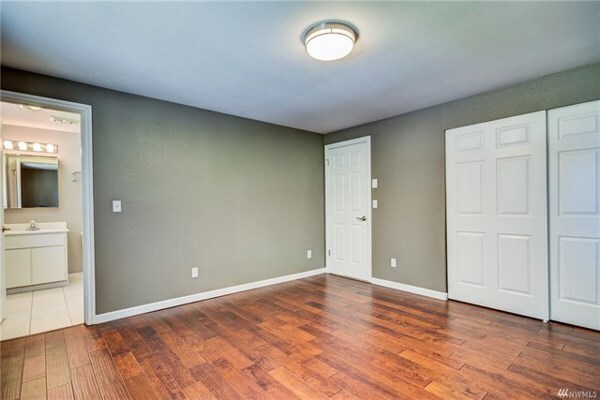 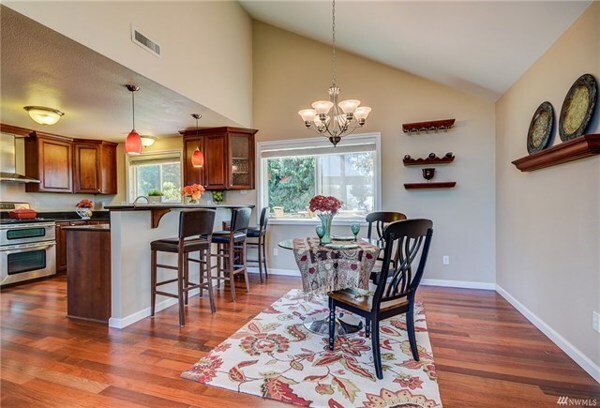 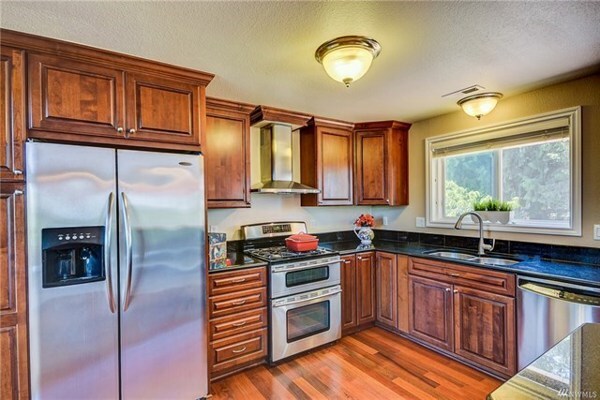 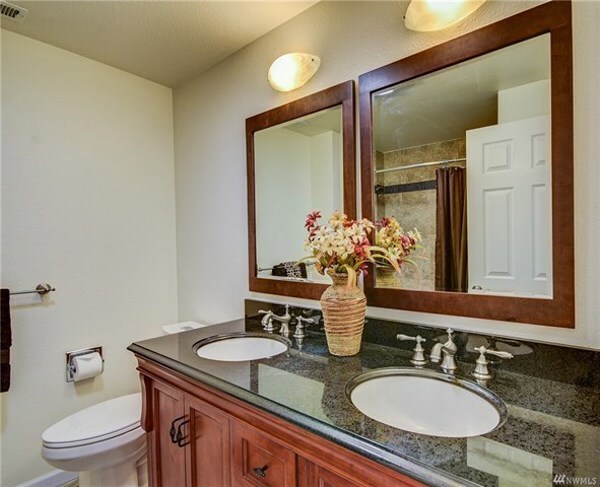 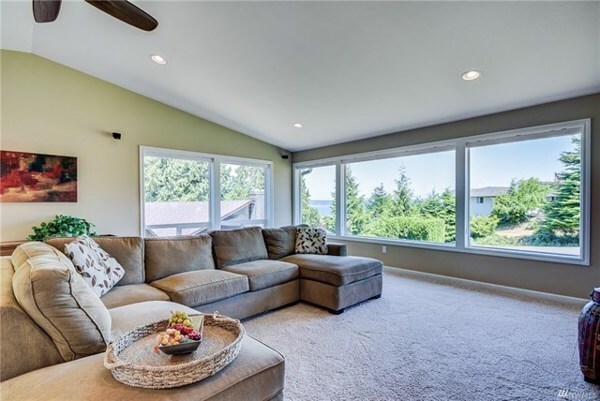 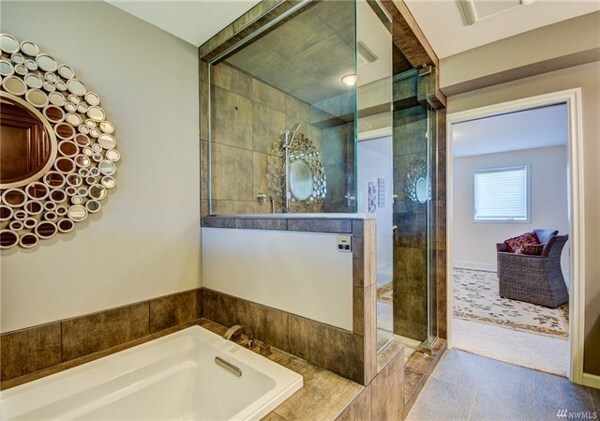 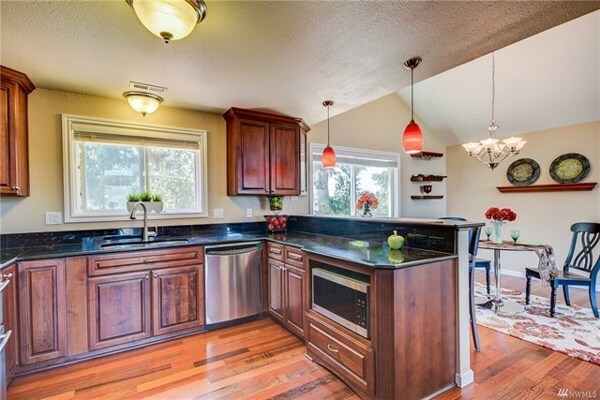 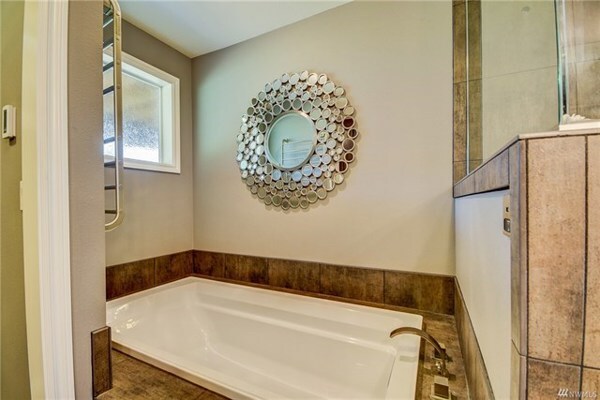 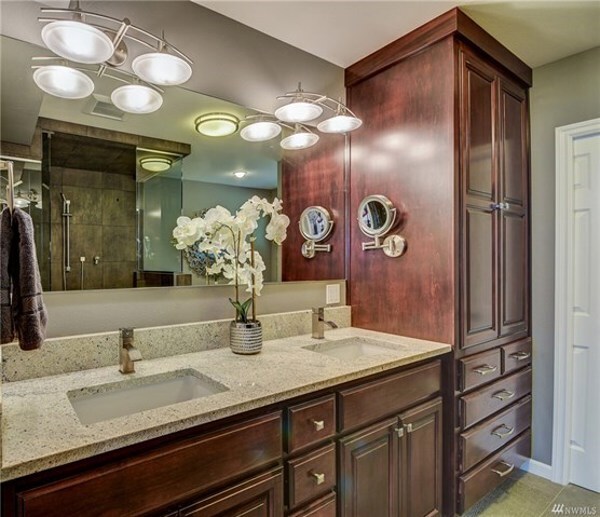 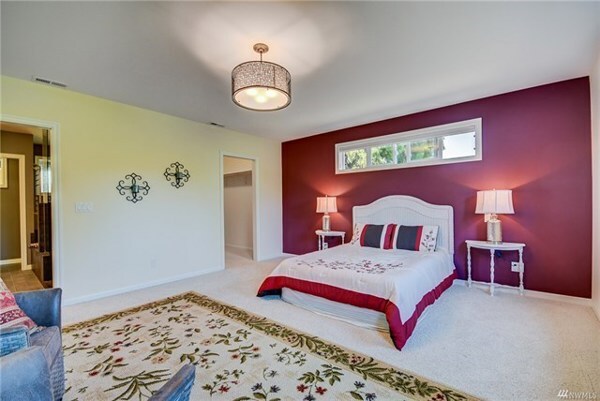 2 level home completely remodeled & recently expanded to over 3100 sqft. 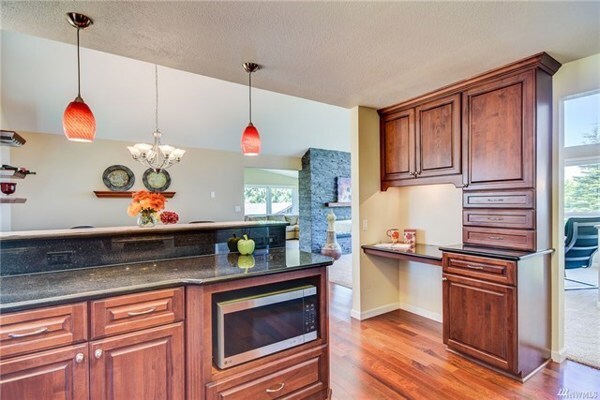 Modern kitchen & dining bar, 4 bedrooms, en suite on both levels including steam shower & infloor heating. 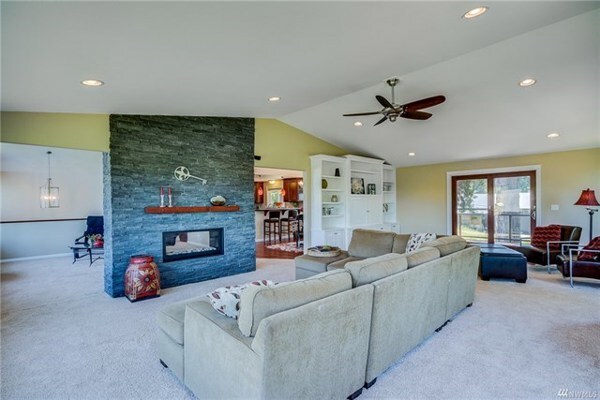 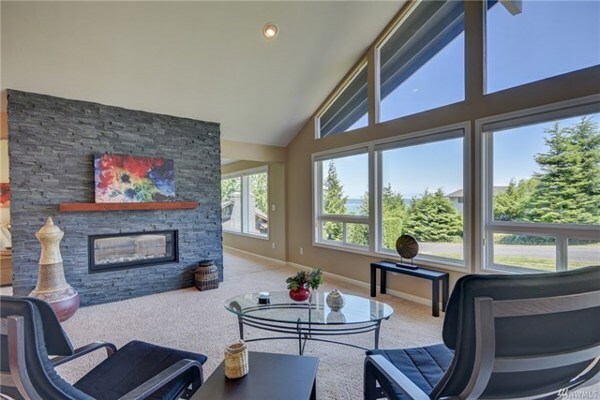 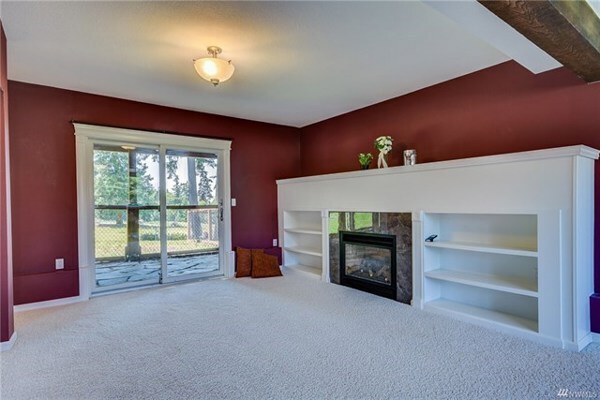 Dramatic double-sided gas fireplace centers spacious living area, great for entertaining. 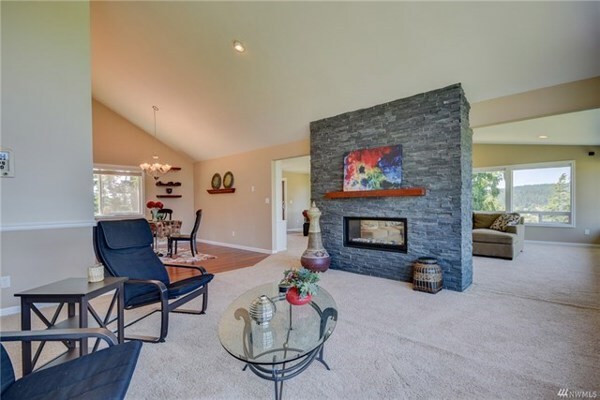 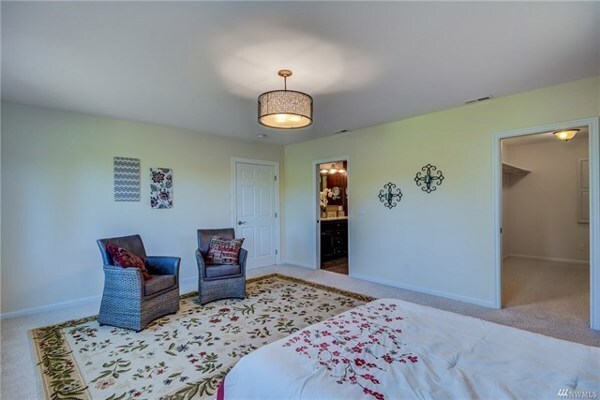 Flagstone patio, large composite deck, spacious backyard w/ fire pit, room for RV/boat & more. 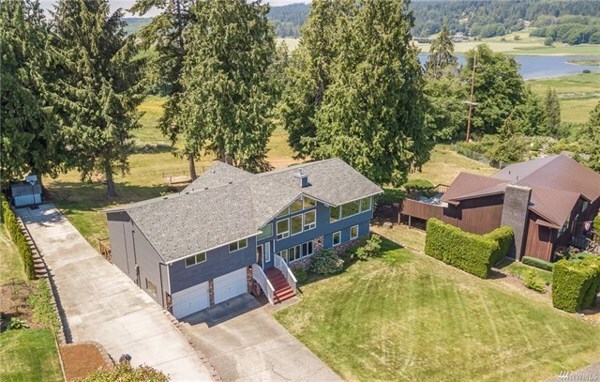 Close to NAS base & town. 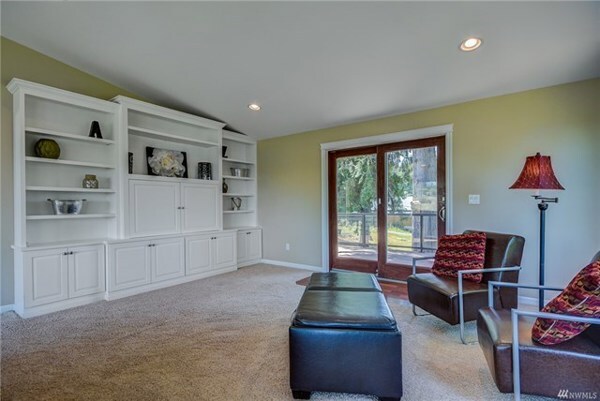 Oversize 2 car garage, fenced in dog-run.